In a rare climbdown for the web search firm, Google said the product "has not seen the user adoption we would have liked". 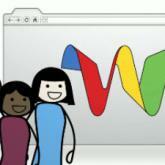 Google Wave is an application which allows Twitter-style instant updates and collaboration on documents. Anyone invited to a "wave" can edit it, and they can be private, restricted to a small number of people or visible to anyone. In a blog post, senior vice president for operations Urs Holzle said developers "stood and cheered" when Google first unveiled the concept last year. "We were equally jazzed about Google Wave internally, even though we weren’t quite sure how users would respond to this radically different kind of communication," Mr Holzle said. Despite "numerous loyal fans", the project had not been as successful as they had hoped and work on it will stop, he said. "Wave has taught us a lot, and we are proud of the team for the ways in which they have pushed the boundaries of computer science. We are excited about what they will develop next as we continue to create innovations with the potential to advance technology and the wider web," the post concluded. The team will not develop the product further but it will continue to be accessible at least until the end of the year. Google chief executive Eric Schmidt said the company expects a degree of trial and error. "We celebrate our failures," he told a conference in California. "Our policy is, we try things." Michael Arrington from the influential technology website TechCrunch wrote: "Maybe it was just ahead of its time. Or maybe there were just too many features to ever allow it to be defined properly."